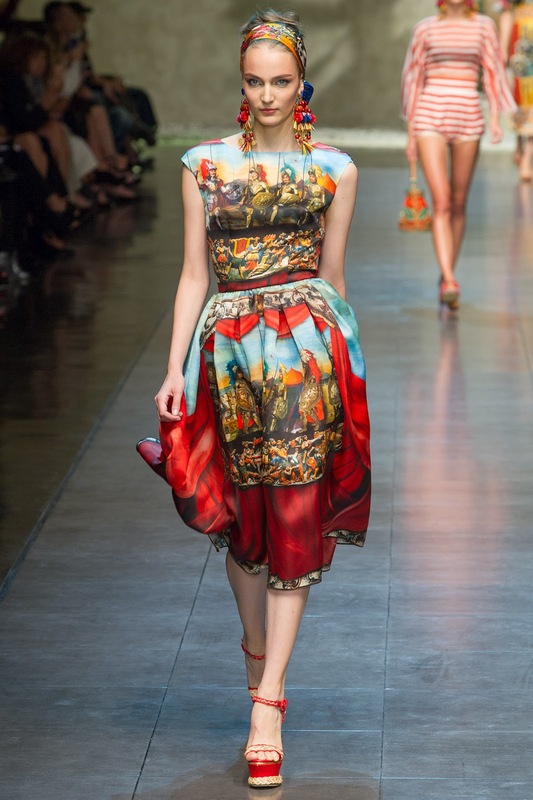 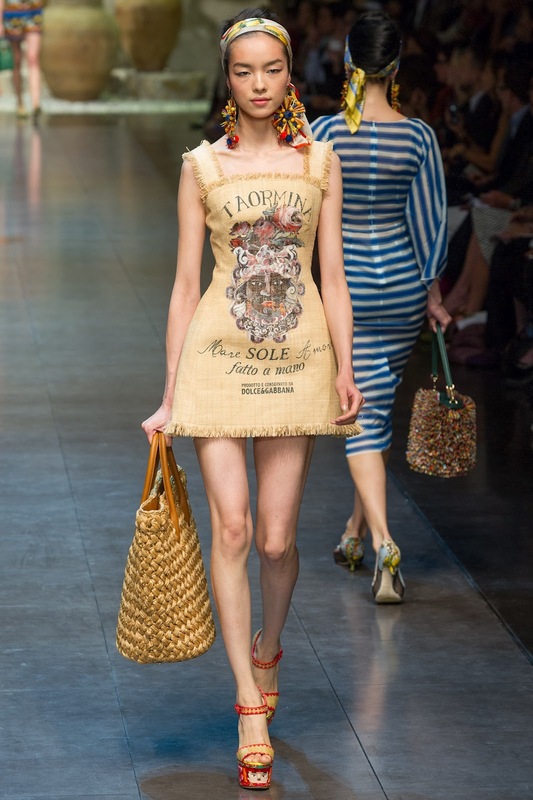 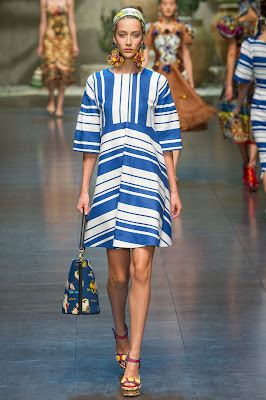 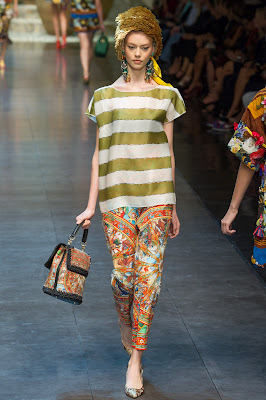 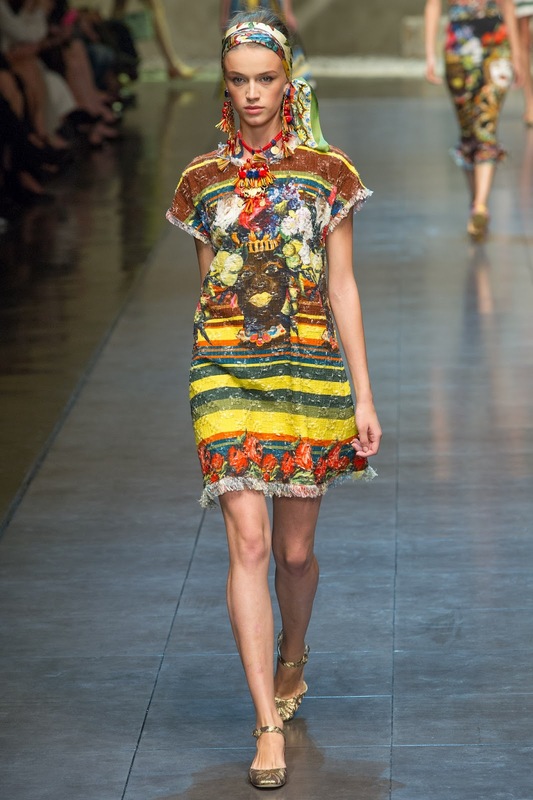 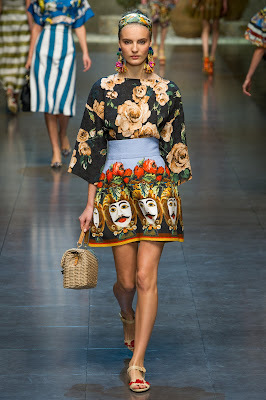 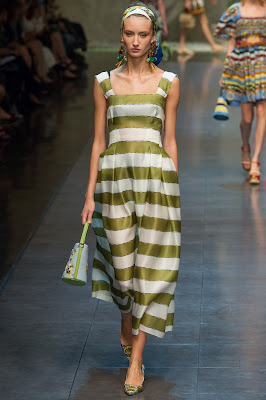 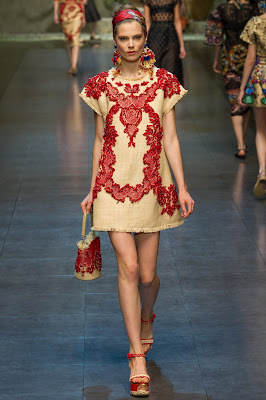 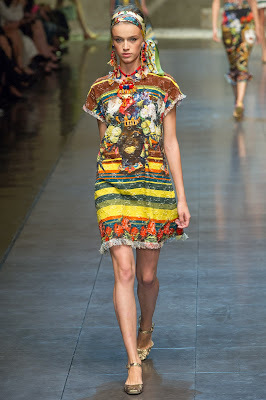 Dolce & Gabanna took us to the tropics of Sicily with their Spring 2013 ready-to-wear collection that featured raffia sacks, bongo brights and umbrella stripes. Models wore native scarfs, skirts adorned street puppets and they closed the runway with show stopping corsets in the shape of Sicilian baskets made from bent cane. 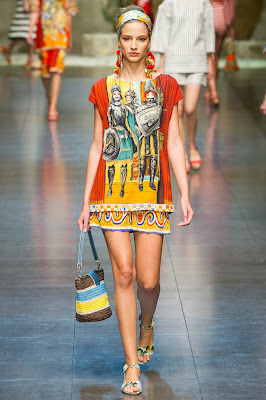 The boys really know how to please a crowd, uber fun and oh so Italiano!